There’s nothing fun about getting a credit card lawsuit. But, you can be prepared, learn all that you can, and survive one. Look over your financial situation with a clear mind and with as little emotion as possible. While being “summoned” is never particularly pleasant, you could find that you are what is called “judgment proof” and even getting a judgment against you will not harm you. Do you have assets that can be taken? Is your income exempt, such as social security? If not, do you have funds available which could be used to settle the debt at less than the full amount? You can negotiate a debt. You may even discover that you are not liable for the debt. It could be past the statute for collecting; or, it might belong to others. Check the summons and complaint you receive. You need to know when is the deadline for filing an answer to the suit. In California, this is generally 30 days, but always check. If you decide to answer the suit, you will need to answer by the deadline date or you can get a default judgment against you. Consult with an experienced bankruptcy and debt settlement attorney. 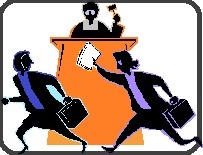 Many attorneys offer a free one hour or 1/2 hour consultation. Take a copy of the summons and complaint with you and a list of questions you may have. If it is a free consultation, limit the meeting to just the one matter and have your questions ready. Even if you have to pay for a consultation, it is well worth the small amount to get all the legal options you may have available. You will know your legal rights. Lawsuits can and do get complicated. Arming yourself with proper information and knowing your legal rights will go a long way to helping you survive a credit card lawsuit.